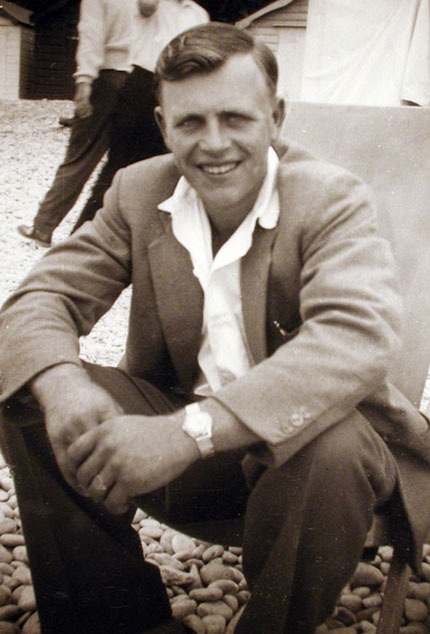 Lifelong village inhabitant Philip Henn died in November 2010. An appreciation of his life appears on the next page. Philip William Edward Henn was born on the 15th March 1934, the eldest child of Percy (Bill) and Gertrude Henn of Fleet Farm, Sulgrave. He attended Sulgrave village school until the age of 8, when he went privately to Magdalen College School for Boys. There he played cricket and rugby for the school until he left at 15 to work for his father. 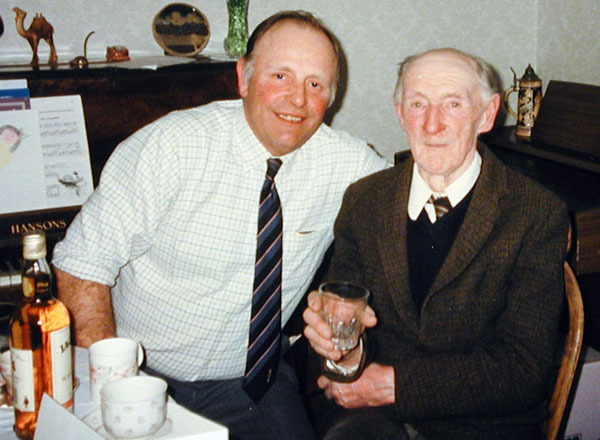 He always loved horses and started hunting on a pony with the Grafton Hunt, progressing to an ex-racehorse as he grew older. His other great love was cricket, going for trials with Northants County as a teenager. 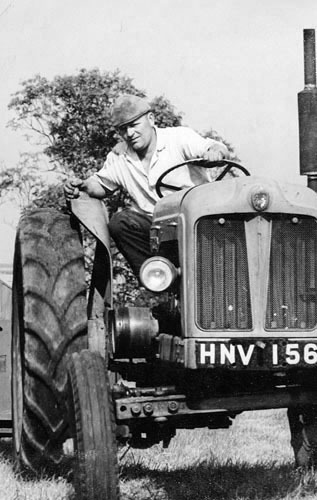 However, he was persuaded by his father to settle for farming. 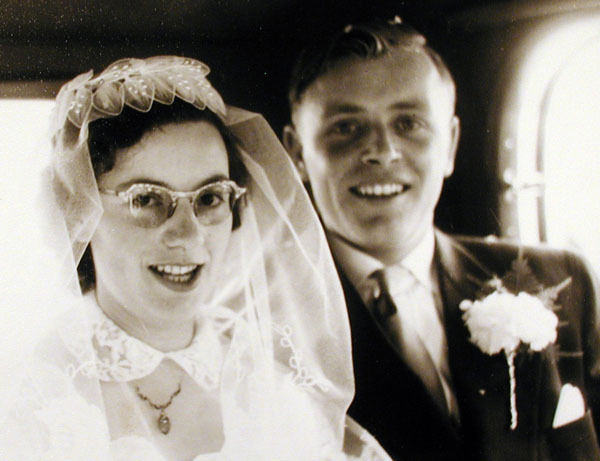 On 20th April 1957 Philip married Daphne (Davis) in Sulgrave Church. They had known each other all their lives – whilst Philip went to Magdalen College School, Daphne went to the Girls High School in Brackley. On the 6th April 1959 Philip became the proud father of a son, Christopher, and in December 1962 of a daughter Jacqueline. 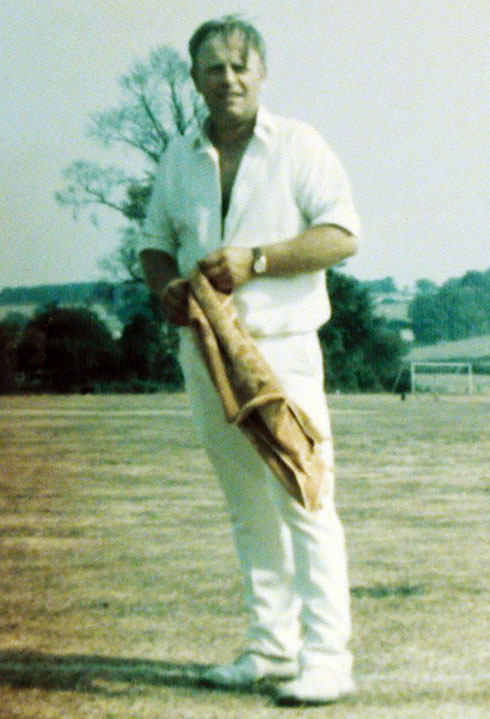 His love of cricket continued, when he played regularly for Helmdon village team, as a fast bowler. He was particularly proud when an announcement in a local paper in 1976 suggested that England might consider him for their team, after he had taken all 11 wickets in a 12 aside match (aged 42) and 9 wickets for 8 runs when playing for Helmdon village in a cup match 5 years earlier. 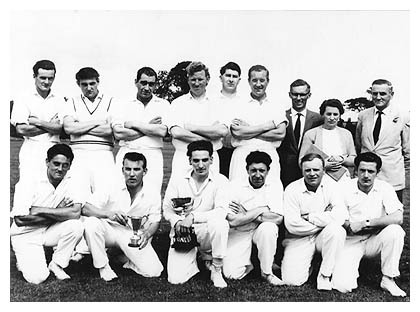 Helmdon Cricket Club in 1962. Winners of the Charlton Cup. Back row, L to R: B. Peart, J. Cleaver, E. Bearman, R. Solomons, A. Watson, F. Allen, G. Ipgrove (Hon Sec), Mrs E.J. Ayres (Scorer), H. Gulliver (Chairman). Front row, L to R: G. Gulliver, M. Shipway, J. Walker (Captain), K. Finch, P. Henn, C. Saunders. When his knees necessitated him giving up in his mid-forties, his love of horses took over. 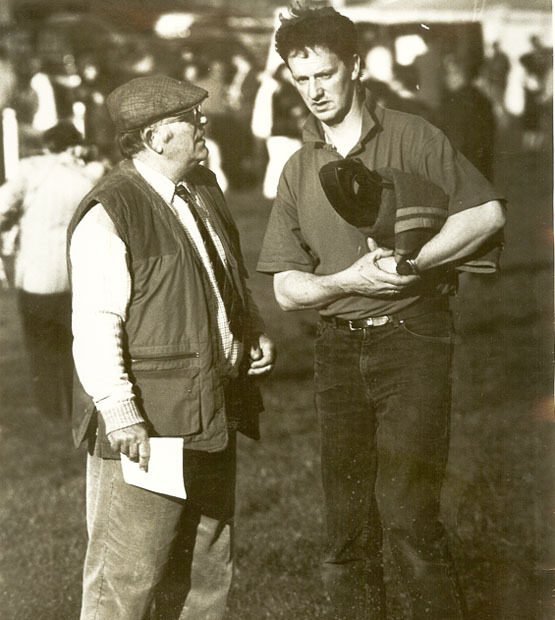 In 1972/3 Philip bought a point-to-point horse which his son, who was then running a livery yard in the village, trained for him. That horse was followed by many which gave him great pleasure. In 1990 he bought a black horse called Pixie Clusker who won many times, and was his pride and joy. Pixie is still alive now aged 30 years. Philip had 3 grandchildren, James, a talented mechanic who after a spell building rally cars at Prodrive in Banbury is currently building fuel tanks for formula engines for a company in Milton Keynes. 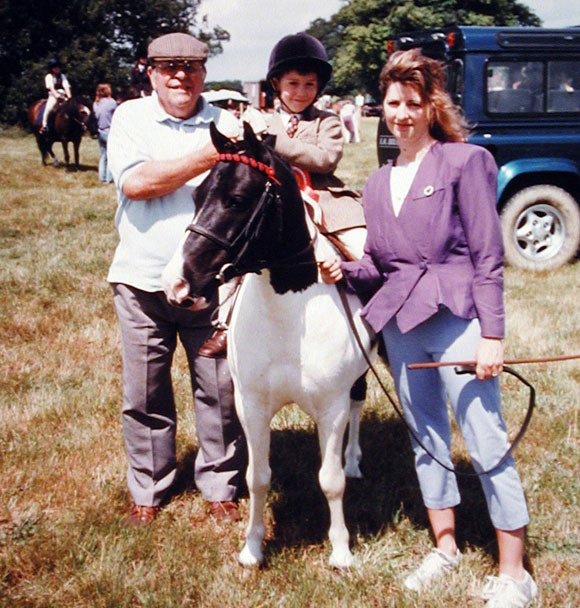 His granddaughter Hannah shares Philip’s passion for horses and has competed successfully at County and Pony Club level since a small child. Youngest grandson Jack is following in Philip’s footsteps on the Cricket pitch gaining his school colours as a fast bowler and is also a keen Rugby player. 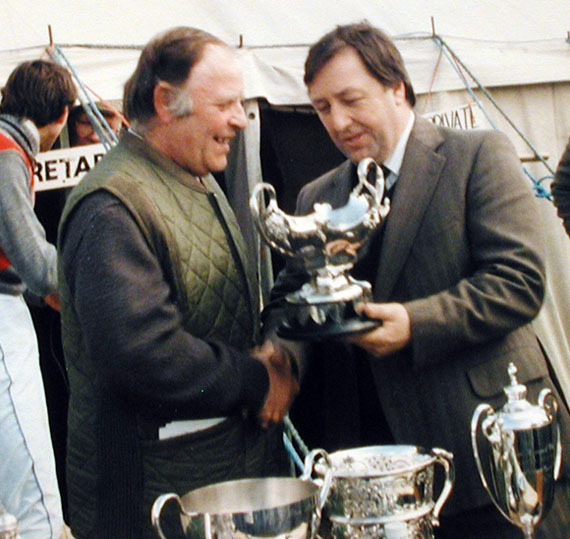 Philip receiving the Farmers Trophy at the Grafton Hunt Point to Point at Mollington 1990. Warwickshire Point to Point at Ashorne in about 1998. Philip offers Christopher advice on how much to bet on the horse! In 2010 Philip’s health was deteriorating. 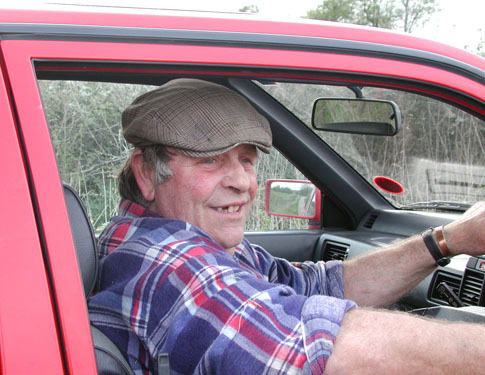 He gave up farming, but still managed occasionally to go and see Hannah competing, and to watch Jack playing cricket. In November 2010 he lost his fight against cancer, aged 76 years. He is sadly missed by all who knew and loved him. This entry was posted on Thursday, August 25th, 2011 at 2:10 pm	and is filed under News. You can follow any responses to this entry through the RSS 2.0 feed. You can leave a response, or trackback from your own site. I was very sorry to hear about the death of Phillip. I am in touch with Valerie by letters. I lived in Sulgrave from 1939 -1945, then known as Anne Brookfield. I knew Daphne, she may remember me. I lived in Sulgrave House, Christopher Maneys parents owned it then. 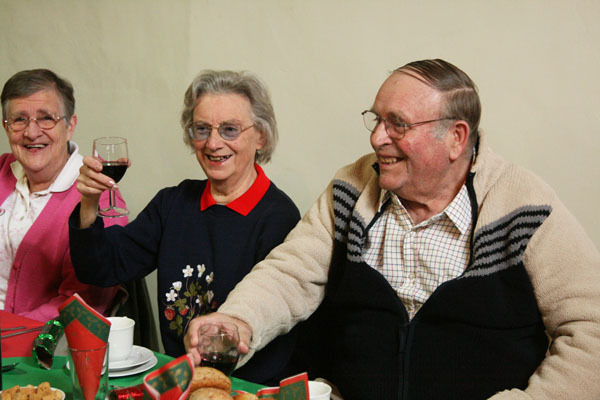 I was friend with Valerie & Phillip & often went to tea with them. Phillips mother nearly always gave us egg sandwiches made with egg whites, the yolks she kept for her cake making. I lost touch with Valerie & Phillip when I left Sulgrave. I found her again through Sulgrave Website after asking Colin to get in touch with her for me. I am so pleased that he did. God Rest your soul Phillip. You had a good life. Very sorry to hear that Phillip had gone. He was the big brother of my best mate when I lived at the Wool House. Phillip always scared me a bit, he seemed so tough ! He would do anything for most. I remember when I picked my BSA Bantam up from Banbury and broke down half way home. I resorted to pushing the bike and obviously it was taking a long time to get home, so my lovely worry guts mum asked if Phillip would drive towards Banbury and see if I was laying in a ditch somewhere. (She always thought the worst). As I was half way up one of the many hills on the way, It was great to see Phillips old Mk.1 Land Rover approaching. It didn’t take many seconds and the bike was in the back and we were heading home. The breakdown was entirely my fault, I found I hadn’t taken the choke off and starved it of air !!!! Anyway, have a good rest Phil, you deserve it. You might meet my mum, step dad and half brother now you are up there. For sure that’s where you’ll be.